SESTO Robotics invites you to SEMICON China 2019! 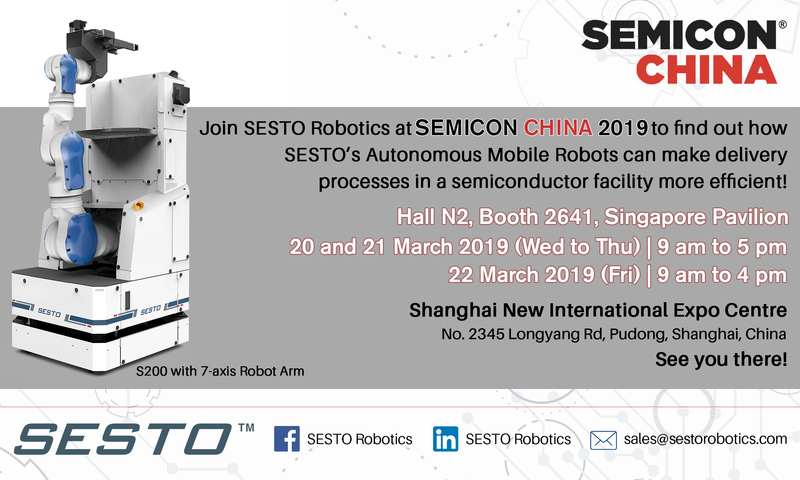 Visit us at SEMICON China and find out how SESTO Robotics’ autonomous mobile robots can make delivery processes in a semiconductor facility more efficient! Email sales@sestorobotics.com if you will like to set up a meeting today!